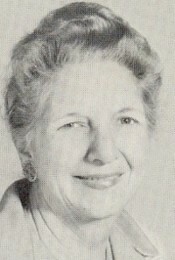 Description: Mrs. Elizabeth Mitchem taught at Bogart High School until the school was consolidated with Watkinsville in 1956. She then taught at Oconee County High School on Mars Hill Road in the fall of 1956. She taught math and was Beta Club Advisor at the new school. She retired in 1971.